Cozy plush or rich faux suede? Enjoy two looks in one! Our exclusive plush-to-suede collection reverses to 2 different colors and textures to instantly change the look of your room. 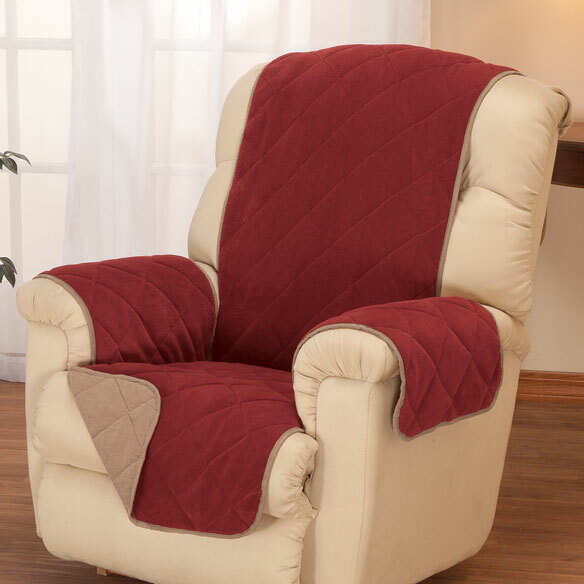 Waterproof, diamond-pattern design protects the seat and back of your favorite recliner from spills, stains, pet fur and more. Care is easy — simply toss it in the wash. Imported. Specify color: plush burgundy reversing to tan faux suede, or plush chocolate reversing to beige faux suede. Seat measures 30 1/2”L x 23”W; back is 48”L x 23”W. The Perfect Size for my chair. The back of the throw actually fits! For the same reason that I got for the couch. To protect my chair from further wear. I have bought an Item like this before, long lasting, soft good quality. 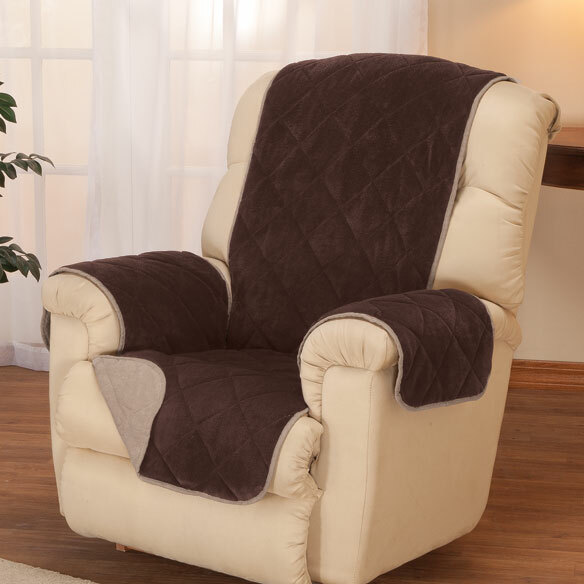 need cover for my lift chair and the price. Just looking for a liner for my husband's recliner that gives protection for arms. The color will go well with his chair. I liked the fact that it is waterproof and in colors that will go well in my living room. is it available in chocolate? BEST ANSWER: Thank you for your question. The chocolate is no longer available. We apologize for any inconvenience.